Go big on color and big on glamour! Nykaa's Paintstix boasts a remarkable formula that pushes the boundaries of color intensity with its rich and intense pigment. This supreme formula glides on your lips effortlessly, providing you with, undeniable saturated color in one stroke. It s time to go bold with Nykaa! Explore the entire range of Lipstick available on Nykaa. 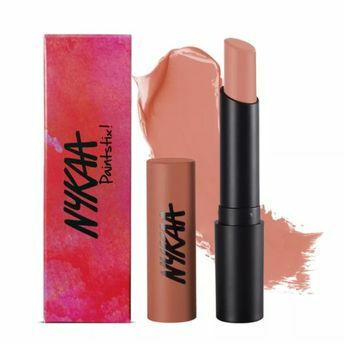 Shop more Nykaa Cosmetics products here.You can browse through the complete world of Nykaa Cosmetics Lipstick .Alternatively, you can also find many more products from the Nykaa Paintstix! Lipstick range.